Heat oven to 375°F. 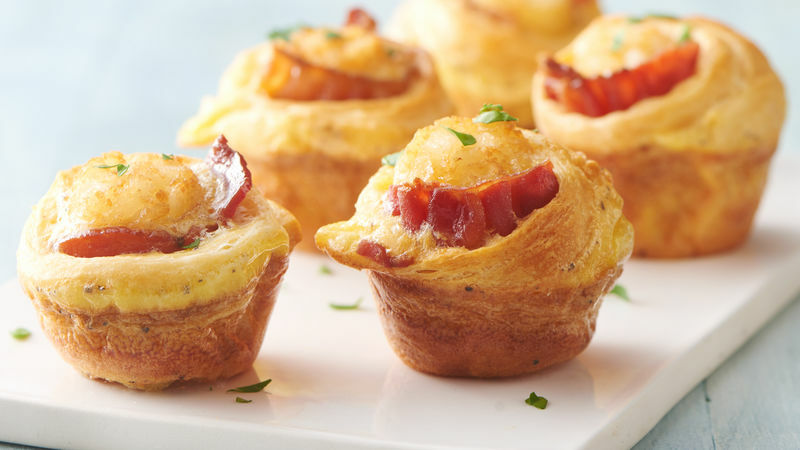 Generously spray bottoms and sides of 24 light-colored nonstick mini muffin cups with Crisco® Original No-Stick Cooking Spray. Remove crescent dough sheet from can, and leave rolled up. With sharp knife, cut dough roll crosswise into 8 equal rounds. 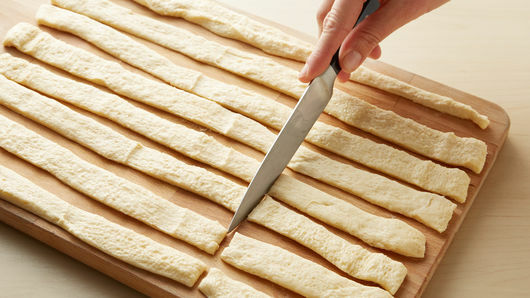 Unroll each crescent round into 13-inch strip; cut into thirds, forming 24 strips of dough. 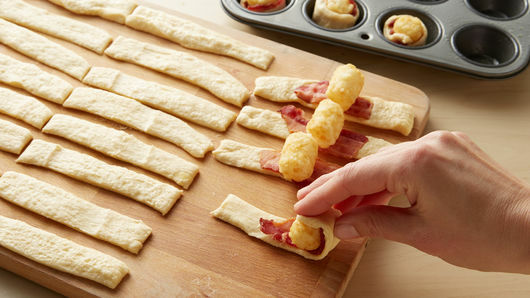 Place one piece of bacon on 1 dough strip; top with potato nugget, and roll up, stretching dough and pinching ends to seal. Place in mini muffin cup, spiral side up. Repeat with remaining crescent strips, bacon and potato nuggets. In medium bowl, beat eggs, salt and pepper until well blended. 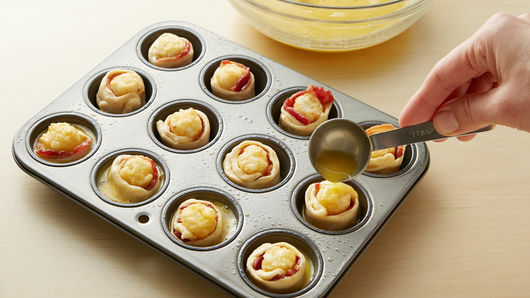 Carefully spoon generous tablespoon egg mixture around each dough-wrapped potato nugget. Bake 15 to 20 minutes or until golden brown on top and egg mixture is set. Loosen sides, and remove from muffin cups to serving platter. Garnish with parsley. Serve warm. Use a small metal spatula to loosen sides of crescent bites for easy removal from pan. Precooked bacon is sold in the refrigerated meat section of the grocery store.